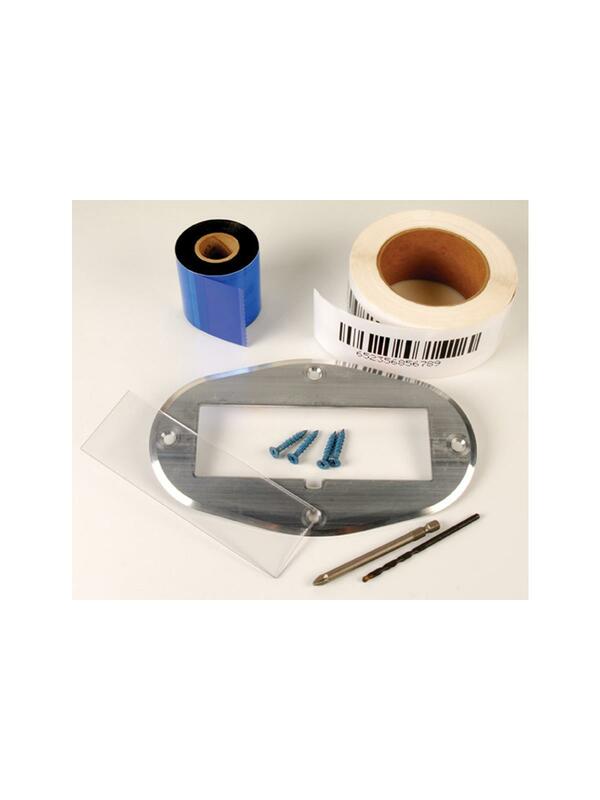 Aigner's second generation Floor Labeling Kit incorporates most of the proven features of our original product, but with an 8-1/2" x 5" oval shaped 0.125" thick aluminum frame with beveled outside edges. Includes a 2" x 6" clear Lexan protective insert, 4 TapCon concrete screws and ample phillips and drill bits. The end user has the option to print extremely durable 2" x 6" white self adhesive polyester labels on demand, in house, on a standard thermal transfer printer. 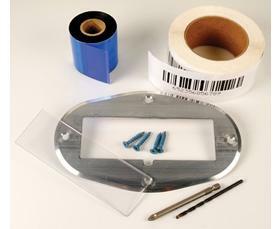 H26PE-RB includes a resin ribbon for printing and 250 labels per roll on a 3" core. All this at a much more affordable initial price and replacement cost. Please call us for pricing. FOB Shipping Point. See Related Items tab for Labels for Floor Label System.